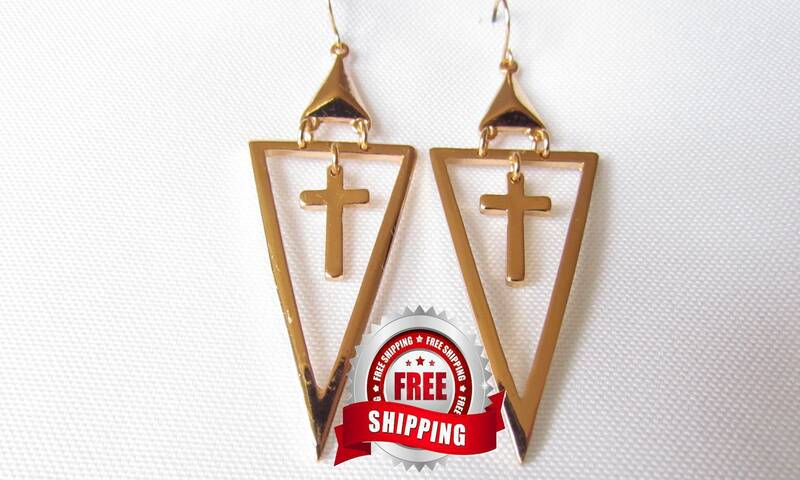 Stunning Vintage Hollow Triangle & Cross Pendant Earrings in Silver or Gold finish. 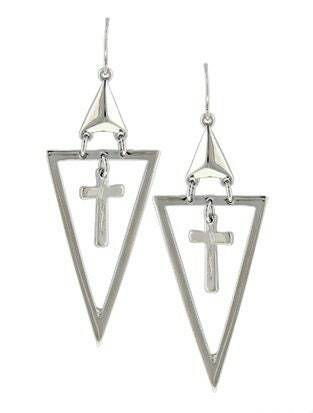 A Saint Michaels Jewelry exclusive you will find no where else! 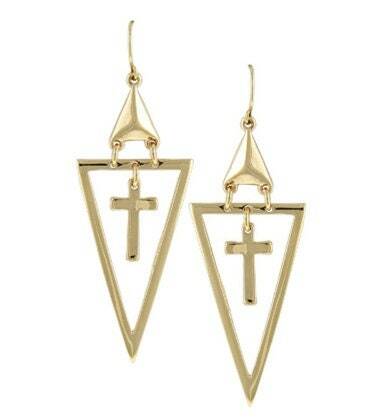 Long Triangle Shape with a Classic Cross designed into the center. 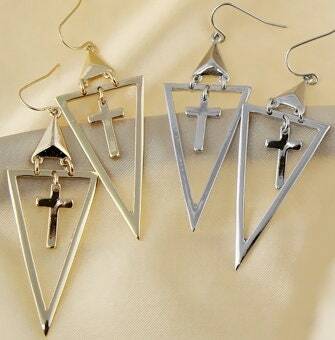 Earring come with complementary ear wires and backs.